Is FEI the right fit for you? 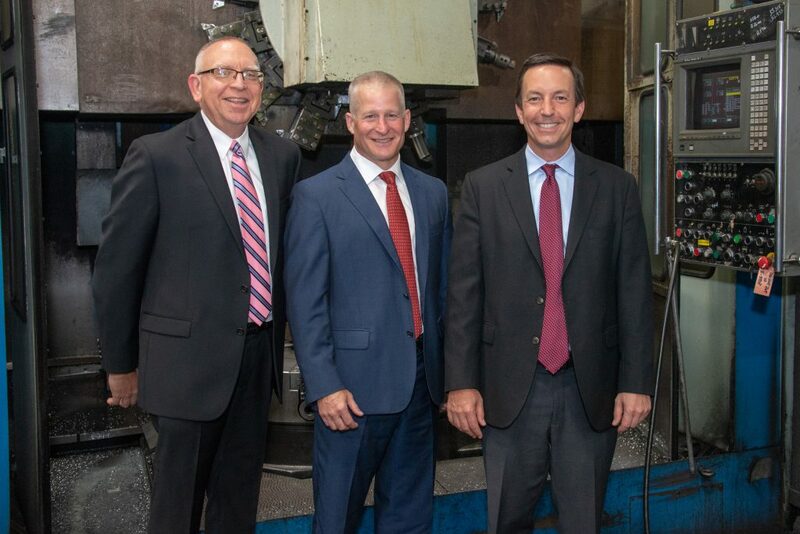 Steve joined Flinchbaugh Engineering (FEI) in 2005 as Vice President Operations, to support a strategic growth initiative chartered by the Board of Directors. Over the next seven years, FEI tripled their sales revenue and implemented Lean Manufacturing throughout their facilities. In 2012, Steve was actively involved in ownership succession, resulting in the transition of FEI to a 100% Employee Stock Ownership Plan (ESOP). 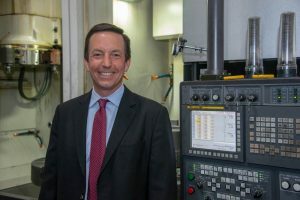 Steve was promoted to Chief Operating Officer in 2016 after the successful management of the most significant economic downturn in company history. In May 2017, Steve was promoted to president & CEO. Since assuming the senior leadership role, Steve has focused on investing for future growth and leveraging the strong employee ownership culture at FEI. Steve graduated from the University of Delaware with a bachelor’s degree in Finance. 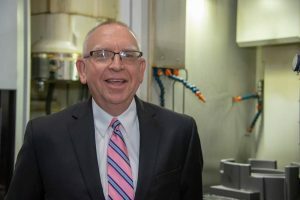 After a brief career in the banking industry, Steve joined ITT Engineered Valves, a manufacturer serving the Industrial and BioPharm markets. For 15 years, he held leadership positions across multiple functional areas; including sales, operations, accounting and finance. While at ITT, his teams earned two Gold Rings of Quality for results in Lean Manufacturing. Steve serves on the Board of Directors for Garrety Glass, a York-based provider of custom glass solutions. Steve and his wife, Lisa, are in active leadership positions in their church and in several local community organizations. The proud father of two grown sons, he enjoys tennis, cycling, golf, fitness, cooking and travel. Mike joined Flinchbaugh Engineering (FEI) in 1999 as the Accounting Team Leader and has been the company Controller since 2003. 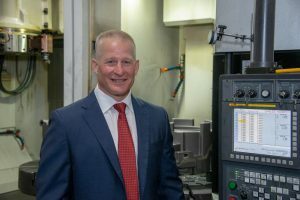 Prior to joining Flinchbaugh, Mike held accounting positions for several large manufacturers such as Dentsply, York International, The Graham Companies, and Ames/True Temper in Camp Hill. Mike has a diverse manufacturing accounting background with specific concentrations in financial planning/analysis, cost savings strategies, lean accounting, and computerized accounting systems. Mike is a Certified Public Accountant and earned his accounting degree from York College of PA. He frequently speaks at ESOP conferences and is very involved in the York Community, serving in several capacities at Asbury Church, Dallastown Area School District music boosters, was past president of DreamWrights Youth and Family Theatre, and has served on several other non-profit boards. Mike resides in York with his wife and has two daughters. Rob joined Flinchbaugh Engineering (FEI) in 2004 as VP Business Development. Rob has led the rapid growth of the business, with specific priority on diversification of the customer portfolio to mitigate the risks related to participation in a narrow band of market segments. Rob developed and implemented a low-cost, scalable direct selling model, deploying a network of manufacturers’ representatives for new customer development. Prior to joining FEI, Rob held global sales and marketing positions for a specialty chemical division of Quaker Chemical. Rob earned a Biomedical Engineering degree from Vanderbilt before obtaining an MBA from Lehigh University. Rob was recently President of Lancaster Country Club during the preparation and hosting of the 2015 US Women’s Open golf tournament. Rob is also active in the community and several local charitable organizations. Rob lives in Lancaster, PA with his wife and children. He is a passionate golfer and enjoys skiing, scuba, and traveling with his family. Flinchbaugh Engineering is conveniently located in central Pennsylvania, a few miles east of York, 97 miles west of Philadelphia, and 67 miles north of Baltimore.